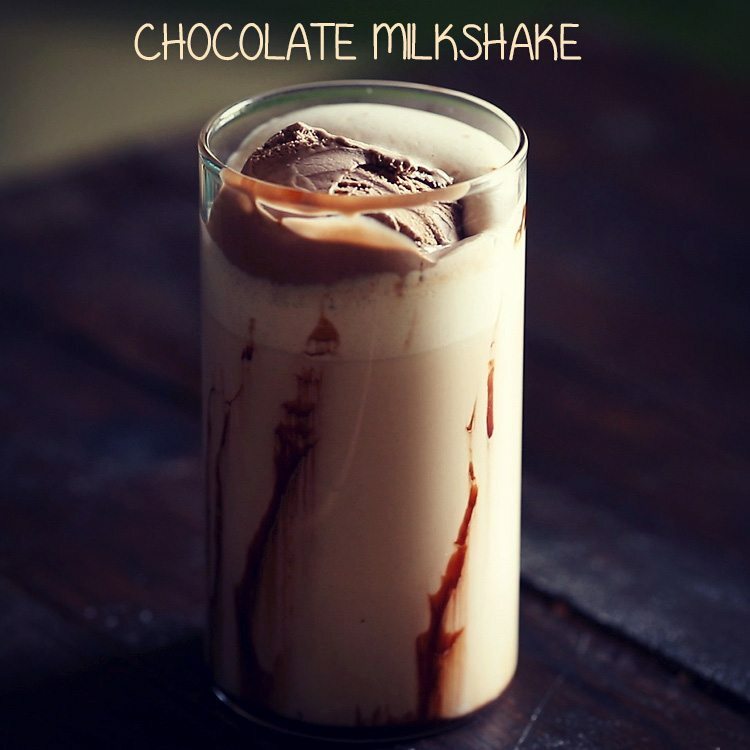 collection of 10 milkshake recipes – various types of milkshakes are a popular beverage with many folks and kids. 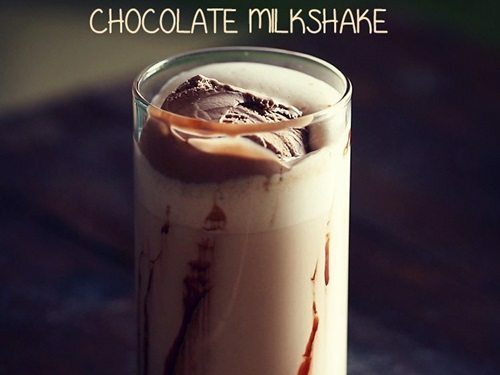 milkshakes are easy and quick to prepare. they can be had during breakfast or any time of the day. they are filling as well as healthy provided we keep something points in mind while making them. 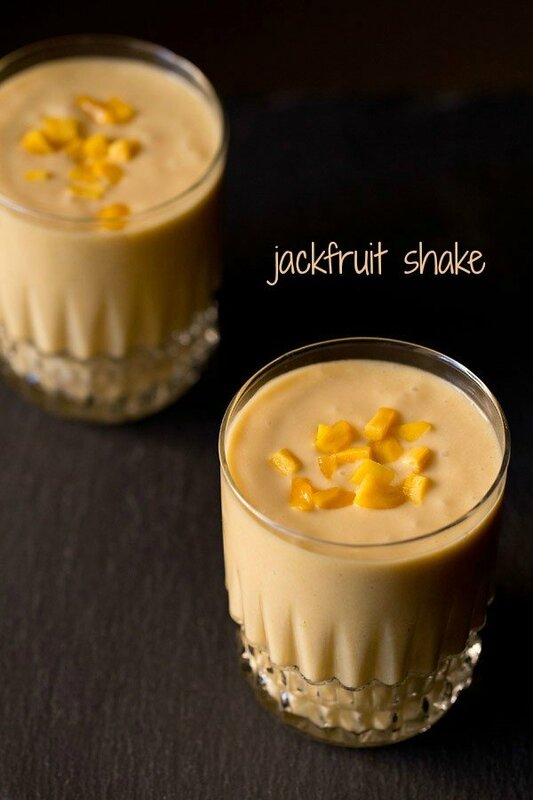 keeping the compatibility of milk and the fruits used in mind, i use various types of milk while preparing milkshakes. so if its mangoes, then i used coconut milk or dairy milk. 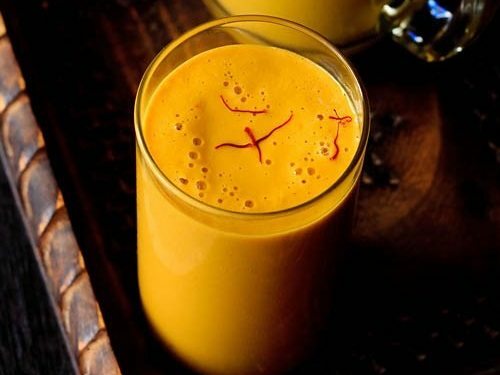 according to ayurveda, mango is the only fruit that is compatible with dairy milk. with other fruits, depending on your constitution you may have indigestion problems or you may feel sluggish. 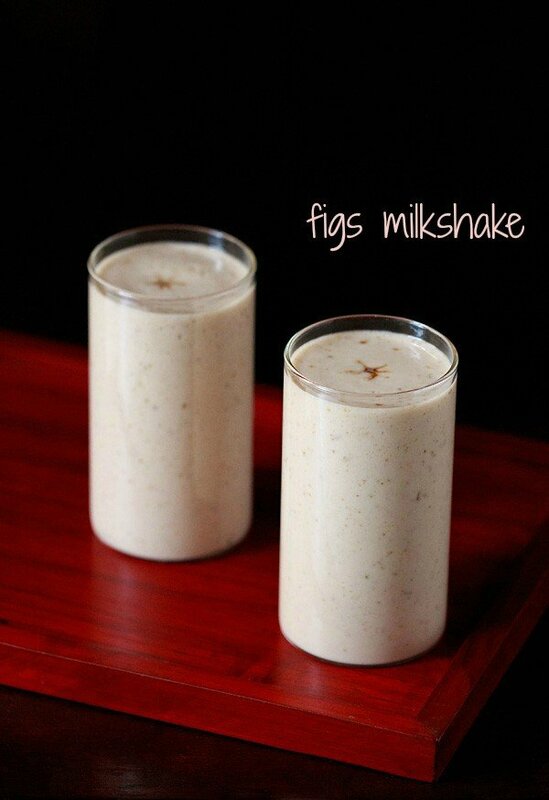 so usually with other fruits, i prepare milkshakes with thin coconut milk or almond milk. personally i also find milkshake made with coconut milk or almond milk lighter and easier to digest. always serve milkshake fresh and don’t refrigerate them to be served later. the freshness goes away and the taste also changes. sugar can be avoided if the fruits are sweet. however, you can always add some sugar if you want. sweeteners like honey, coconut sugar, unrefined cane sugar and jaggery are better options than plain white sugar. 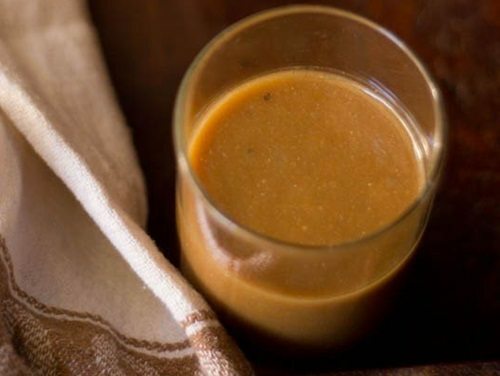 most of the time while making milkshakes and cakes, i use coconut sugar, jaggery powder or unrefined organic cane sugar. the coconut sugar has a similar taste to that of palm jaggery. it’s best to use fruits which are in season. avoid using processed fruit pulps. if possible, buy the fruits which are cultivated organically. collection of indian summer drinks. 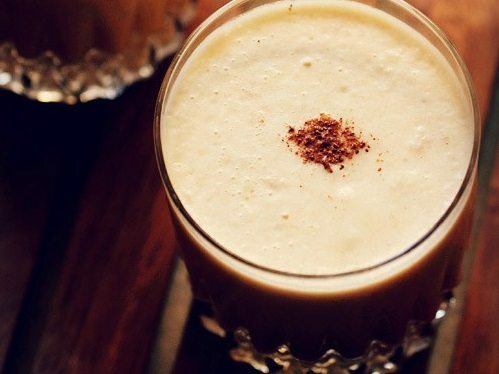 1. banana milkshake recipe – delicious banana milkshake made with coconut milk, vanilla powder and cardamom. 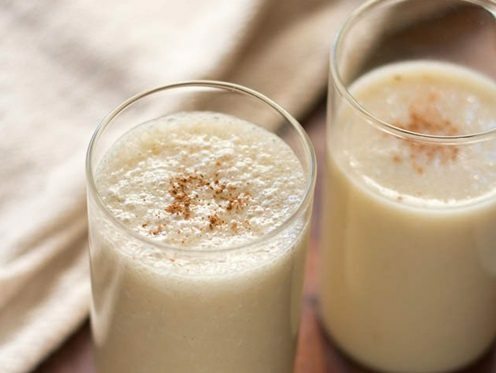 this milkshake is also good for children and grown-ups who have lactose intolerance. 2. chocolate milkshake recipe – easy and quick recipe to prepare delicious chocolate milkshake with cocoa powder. to get the best taste, i would suggest to use a good quality cocoa powder. both ice cream and ice cubes are optional and you can skip them. without ice cream also it tastes good. 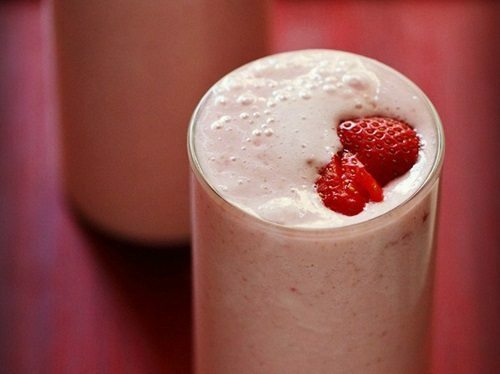 4. strawberry milkshake recipe – refreshing healthy drink to recharge your energy levels. 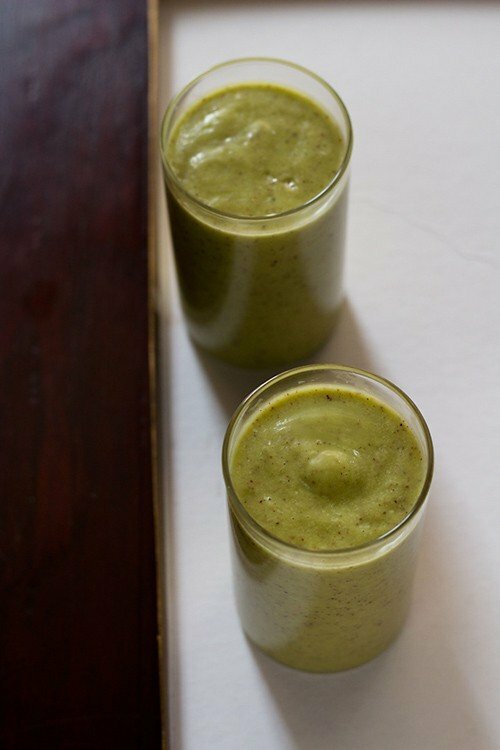 good for kids as well as a breakfast beverage. you can serve the milkshake plain or add a scoop of vanilla ice cream or strawberry ice cream and have a strawberry ice cream shake. 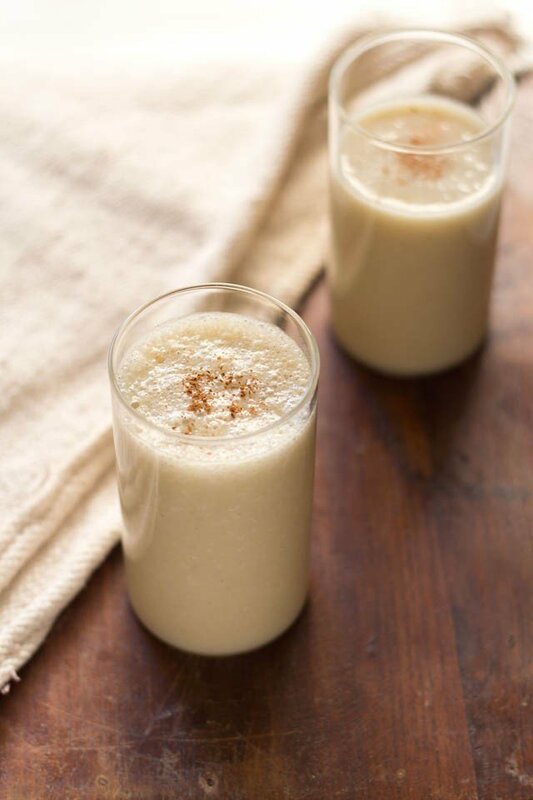 5. apple milkshake recipe – easy and a quick healthy beverage. here i used kinnaur apples from himachal pradesh. i always buy these apples as they are not wax coated. the very shiny and glossy looking apples are wax coated. so do check the apples before buying. 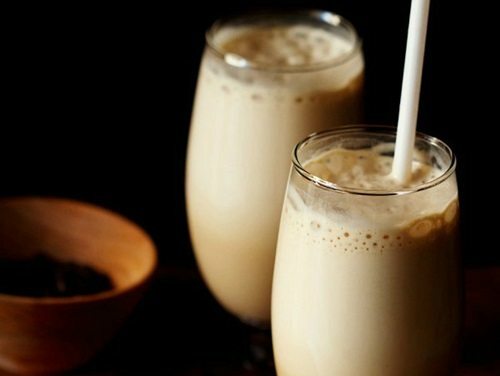 6. coffee milkshake recipe – this recipes gives you a nice coffee flavored frothy layer on top. much like the cold coffee you get in cafe outlets like cafe coffee day. serve cold coffee straight away as its made. if you have vanilla ice cream or chocolate ice cream or choco chip ice cream or pistachio ice cream, you could also add an ice cream scoop in the cold coffee. 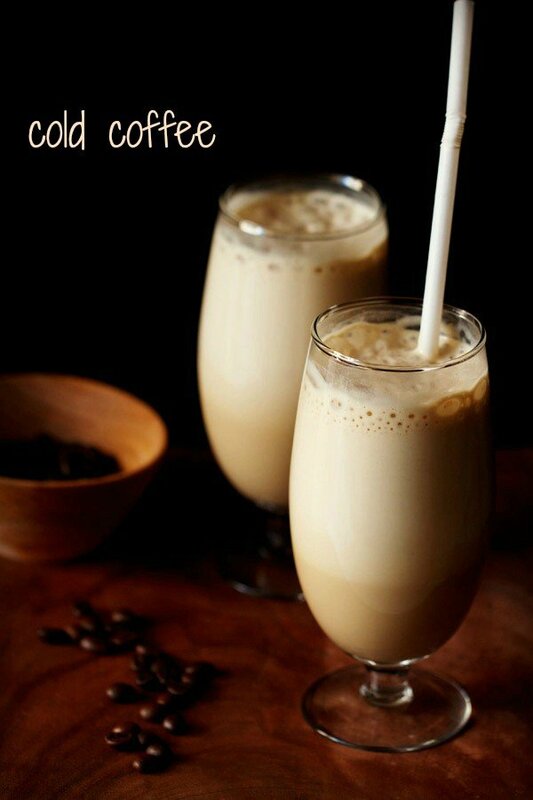 you can also check this recipe on how to make cold coffee with ice cream. 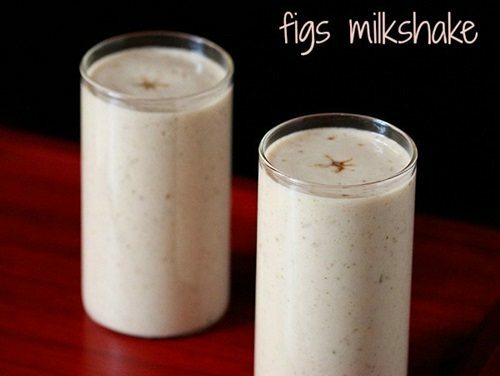 7. dry fruits milkshake recipe – this dry fruits milkshake is very filling and you might like to skip a meal after having it. i have used soy milk instead of regular milk to make it. 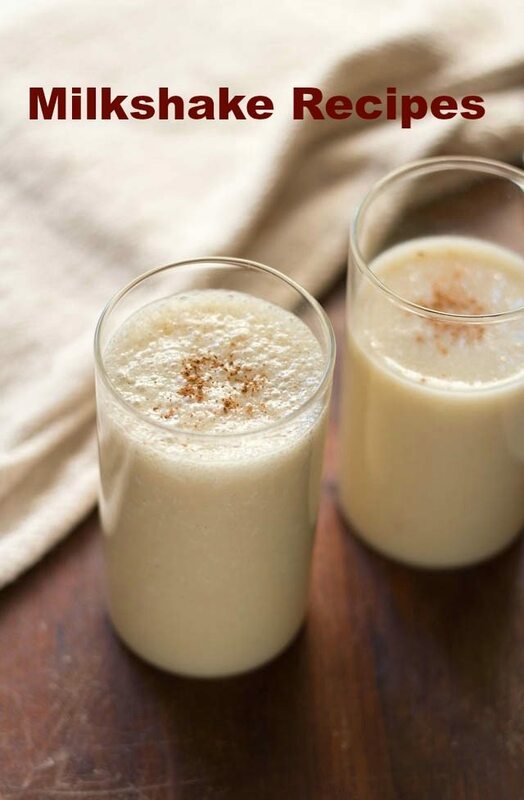 you can use regular milk or also make with almond milk. 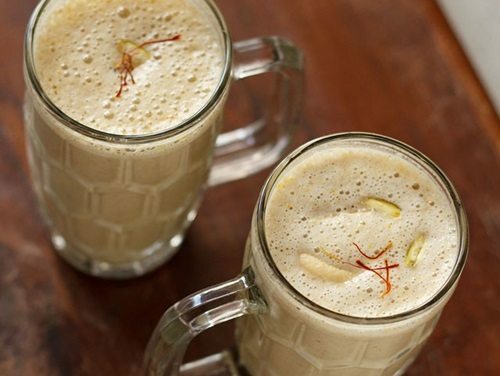 9. chikoo milkshake recipe – refreshing and healthy vegan sapota milkshake recipe. if the chickoos are very sweet then you can reduce the quantity of sugar or skip it. 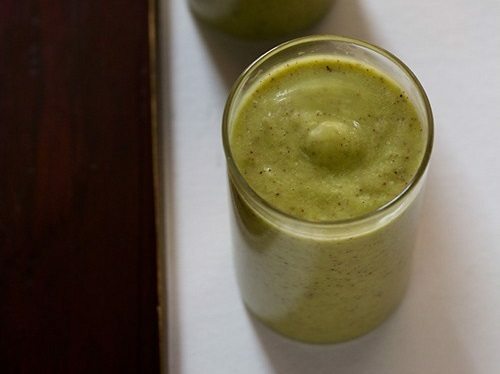 10. avocado milkshake recipe – a healthy and delicious milkshake. avocado is a very healthy fruit and very good option for vegetarians and vegans. Wow! My Favorite Coffee Milkshake and Chocolate ice cream. Thanks For sharing tasty recipes and I am going to try these recipes at my home.